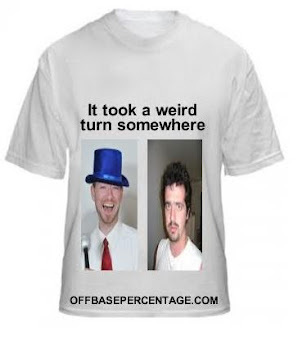 Curveballs for Jobu is Offbasepercentage's daily trip around the ballparks. Today's honorary bat boy is Edgard Clemente. Kyle Kendrick started for the Phils and it wasn't pretty. Jason Giambi, hitting just .194/.306/.581 even after his 3-5 Thursday, went yard thrice and knocked in all 7 Rockies runs. Giambi only has a career 54.5 WAR but his 419 home runs and .281/.404/.524 line is impressive. Gotta love a career .400 OBP guy. Jhoulys Chacin allowed the lone Phillies run over 7 innings and struck out 9. Jay Bruce's pair of home runs couldn't overcome the sheer dominance of James McDonald. Neil Walker and Andrew McCutchen each went 2-4 with 2 doubles. But, for good measure, here's a list of the 10 most successful real life pirates. Madison Bumgarner finally got in the win column after going 8.2 strong innings giving up 1 run on 6 hits. Brian Wilson recorded his 13th save of the season finishing off the final third of the 9th after walking two. And here's a clip of one of the greatest Giants of all time. I'm lazy today. The Angels keep finding interesting ways to lose. Torii Hunter got the start in center field and he made the least of the opportunity. He lost a pop fly in the sun and fell over attempting to catch/not get hit by it for the weakest walk-off this season. I cried a little. The Twins won a game but, in the process, they scored the rest of the runs they had allotted for May. 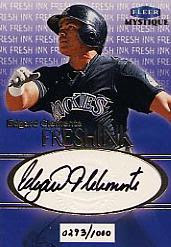 Justin Morneau went 3-5 with a double and homer but is still just hitting .245/.309/.367 for the season. Yikes. Blue Jays 3, Rays 2. Jose Bautista went 0-4 with zero home runs. Red Sox 4, Tigers 3. White Sox 8, Indians 2. Royals 2, Rangers 1 (10). Brian Fuentes Isn't Good. Or Happy. Chase Utley Close To Return!!! What The Hell, Mark Reynolds? Let's Make Fun of Carl Pavano!